Hajdúszoboszló is located in the northeast of the Great Hungarian Plain, 200 kilometers from Budapest and 20 km from Debrecen. The East Main Canal north to south, 12-14 km -long section of the city lies at the border. This not only serves the purpose of irrigation, but also a great resting place of the natural environment for swimming, boating, fishing, gardening and guests wishing to locals. Treasure of the land in good agricultural areas, the gas fields and the medicinal water, the abundant sunshine. Annual average number of hours of sunshine to reach, or sometimes even more than two thousand hours. 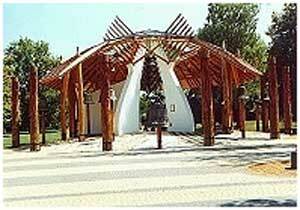 Hajdúszoboszló, Hungary is one of the sunniest regions! The microclimate of the bath and the surroundings, and accelerates the healing process with iodine in the air and salty humidity. 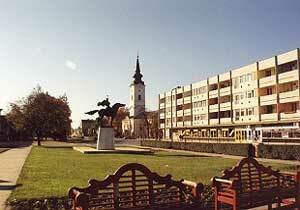 The travellers who arrive to Hajduszoboszlo always have the chance to have a good time. During the winter days the average temperature is about 0°C and 80-85 days in the summer, when the average temperatures is about 25°C. In 1999 the spa building was completely renovated. The modern two-storey building in a medical capacity has doubled. Four new open-air pool was built, in which the various attractions allows even more visitors to recreate. In the spa's indoor hall there are three 32°C, 36°C, 38°C -temperature thermal pools. On the ground floor to the left there are three surgeries, with treatment and physiotherapy room and Jacuzzi is found with treatment. On the first floor there are massage rooms with treatment and spacious resting wait the guests. Those who have an aversion to nature offered recovery certainly change their opinion if they may be treated by TOWN SPA. The water power and other facts combined effect results that thousands of people find healing. The iodine and bromine and salty water is good for rheumatic diseases. Chronic musculoskeletal diseases, attrition, degenerative diseases has been found to comply with the requirements of the physician more than 90 percent is getting better. The effect of bath in surgical, neurological, dermatological diseases, origin (eczema, psoriasis) is also observed during the treatment. Patients who were undergoing in orthopaedic surgery regularly visit our spa for treatment. Good results can be achieved post- stroke state, Heine Medin disease, cerebral palsy developed after chronic treatment of neuralgia and neuritis. This water has a good effect for gynecological inflammations as well. Reactive two -thirds of women are often reported about conception. The rationale is that bitumen binds estrogen can be found in our water. More than forty kinds of treatments are available for patients in our Spa. The various treatments are used in combination. Among it there are: massage, mud, traction bath, underwater massage, underwater gymnastics, electrotherapeutic various treatments and the latest soft laser treatment is applied. 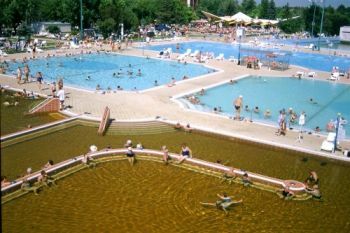 The Hajdúszoboszló Medicinal Spa interests not only the sick people. In summer times the open air pools are the winners. The 30 hectare land open its gates from 1st of May - to 30th of September. Thousands of visitors refresh theirselves in 13 pools, like billow, bubble bath pool, children's pool and other attraction pools. In May and in September we have less then 13 pools filled with water, depending on the number of our visitors. 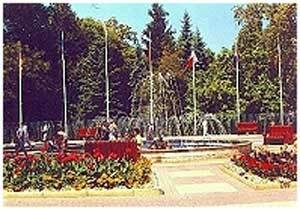 In 2002 - with the scope of the Széchenyi Project - the open air bath's infrastructure had been totally increased, because new water rotated and filtered pools had been started to work on European standards. But the great sensation is the mediterranian beach, with its more than 6000 m2 water surface, so it's Middle Europe's biggest pool. The giant pool deepens step by step, and the water is rippling a little. In the middle of it there is a pirate and there's a lighthouse on the sandy beach with palm trees. We hope that our mediterranian beach will be the symbol of our open air bath. 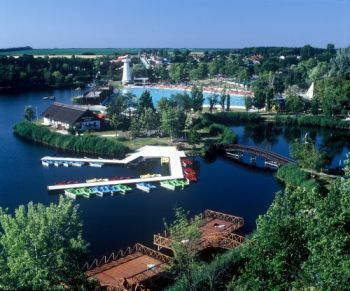 Starting from the 12 meter-high nine different track enthusiasts can choose from a large splash. There's a four-lined giant, two kamikaze, a giant spiral, black holes and crazy river. 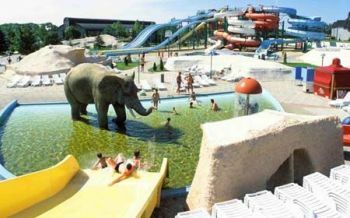 Fort he kids there are diffeerent kinds of pools with life-like elephants, two slides and playground. The slide park in the back of the beach in one hectare area, you can buy tickets for two hours or all day ticket. The Árpád Swimming Pool meets international standards, competitions and suitable for settlement. The temperature of the 50 meter, 8 lane swimming pool water is 25-27C°. The Árpád SE talented swimmers and junior water polo team trains here. 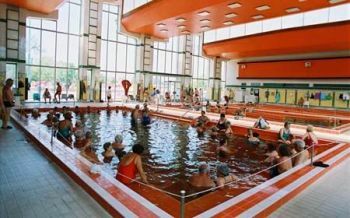 Our indoor swimming-pool is becoming more popular in Hungary and abroad as well. Two fitness rooms are equipped with the latest bodybuilding and cardio equipments. A restaurant can be found int he hall. Tropical bath, Ice cave bath, Movie bath, Pávai thermal bath, cave bath, Roman bath, Ganges bath, sea bath, and slide pool.